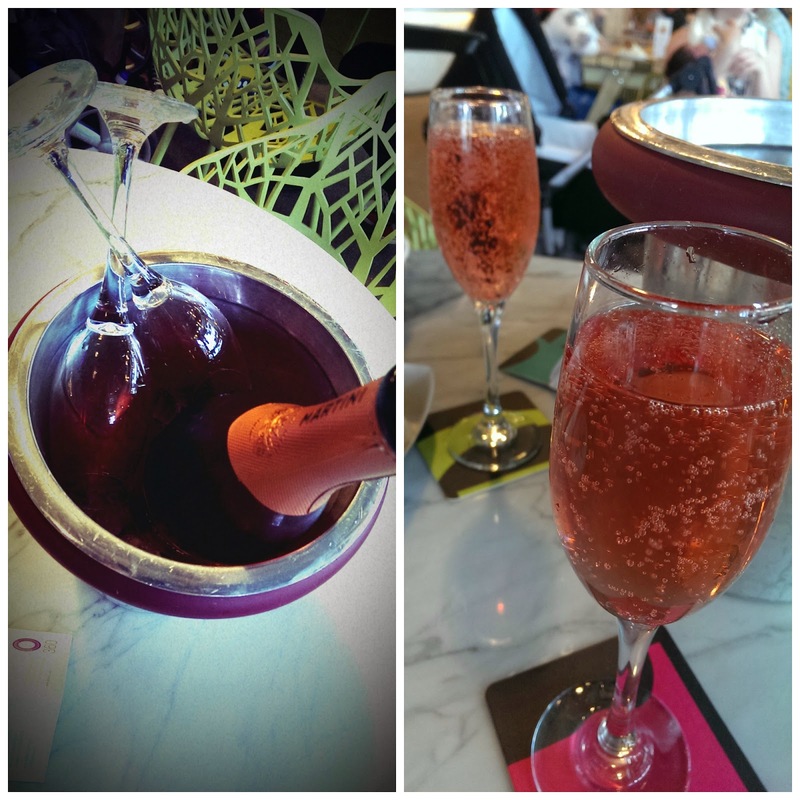 Since you met my littlest sister last year (Playing Hooky post), our regular Leeds lunch meet-ups have been upgraded to include a bottle of fizz and shopping. 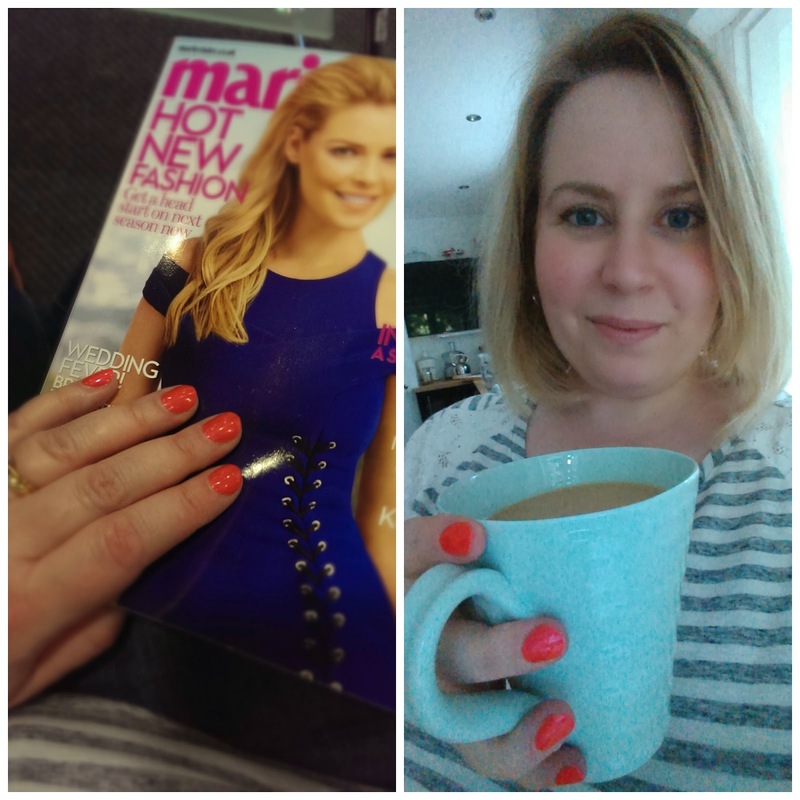 This time we thought we'd go step further and get our nails done as well! 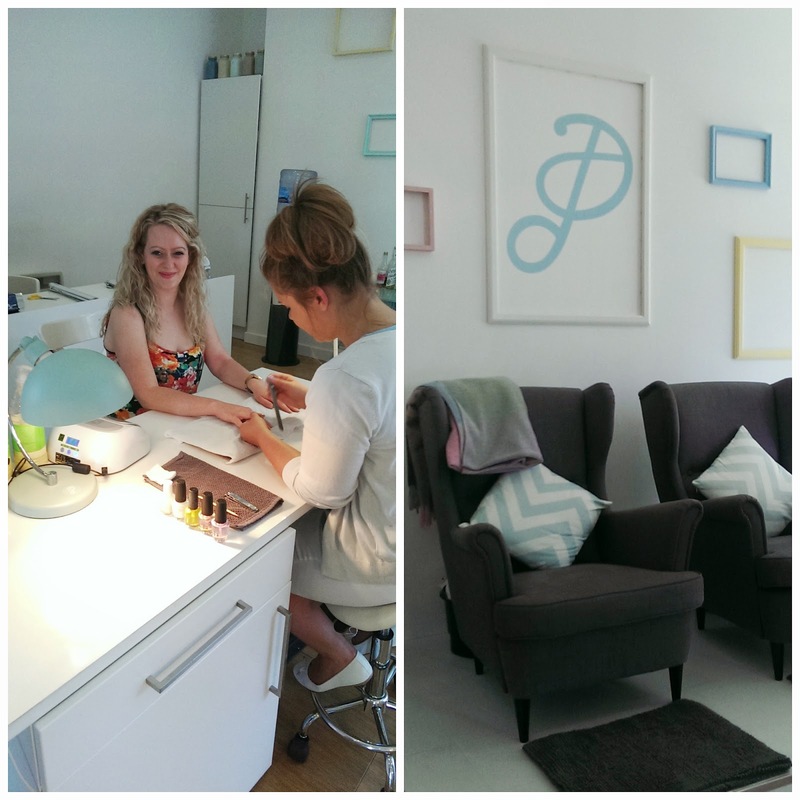 We went to Pastille Beauty Bar, which is a really cute nail & brow/lash salon in Granary Wharf. 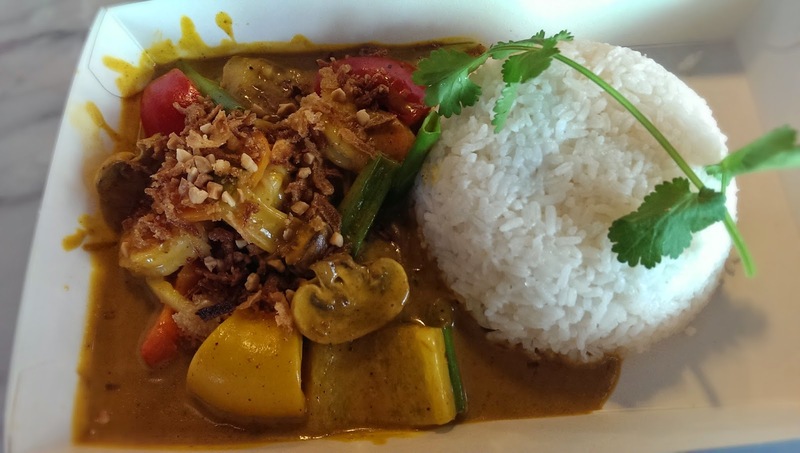 With our newly glam nails we headed over to the Trinity Centre and the Trinity Kitchen which serves up a variety of street food from all across the world. 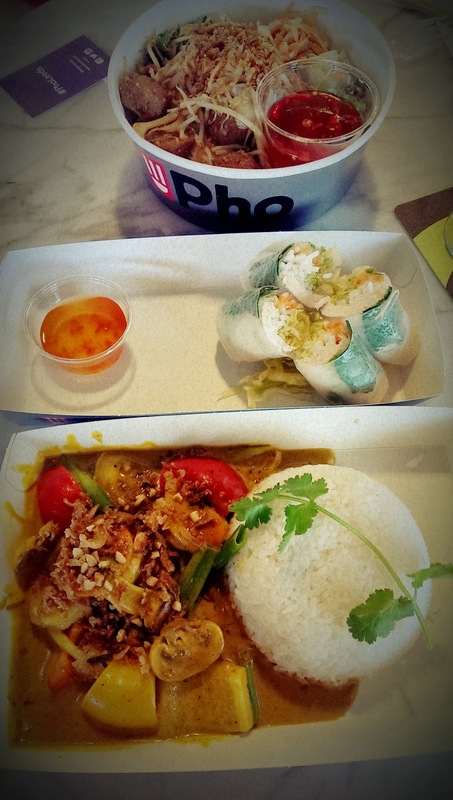 As we sipped our rosé prosecco from 360 Champagne & Cocktails we couldn't resist the delicious smelling food from Pho so we ordered some refreshing summer rolls, a tasty Vietnamese curry and some spicy Bun noodles. 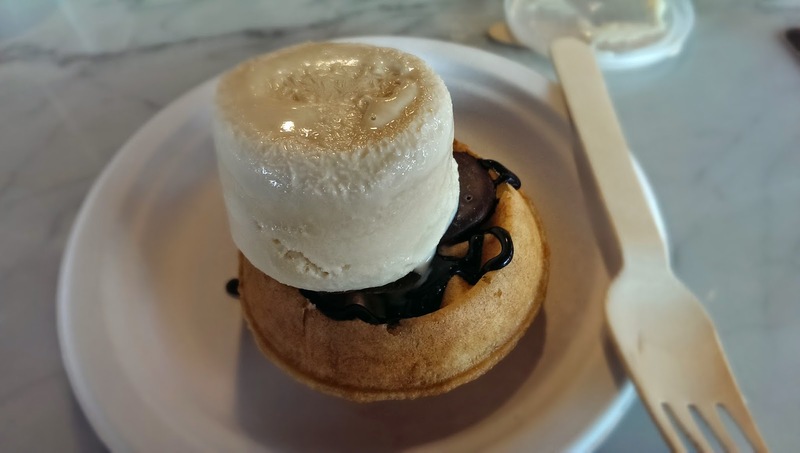 From Vietnam it was only a hop skip and a jump across the Bay of Bengal to Indie Ices' tuk tuk where we had what we both agreed was the perfect dessert - a warm waffle drizzled with chocolate sauce, topped with coconut flavoured dark chocolate discs and a tub of Baileys Indian ice-cream on the side. It was truly amazing! 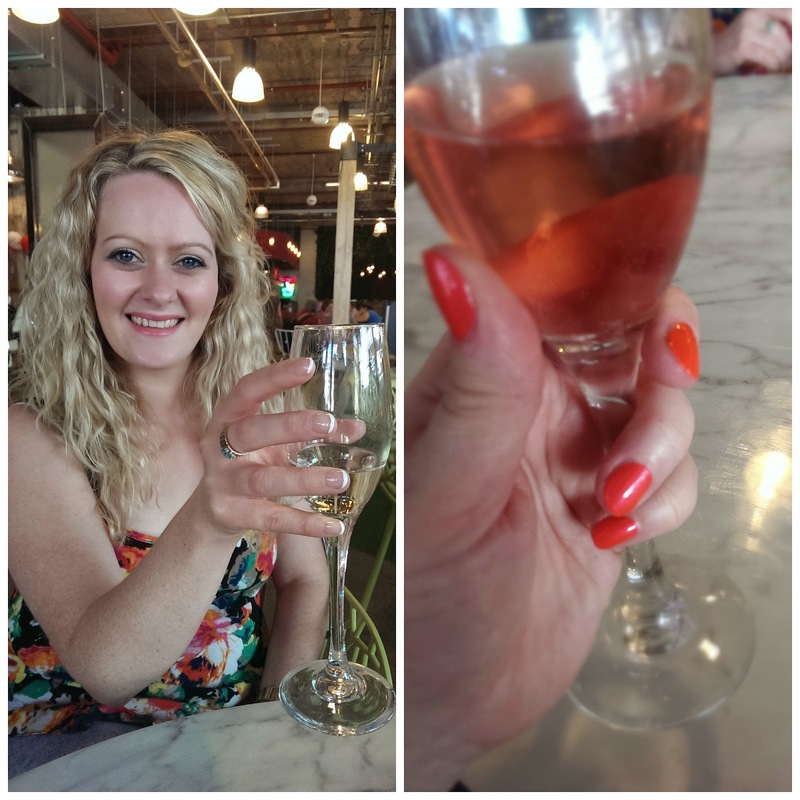 After some more posing with our shiny new nails over another glass of prosecco we did a spot of shopping (alas, no purchases of interest to report!). Of course, after such a busy day all I wanted to do when I got home was chill out with a magazine and a cup of tea - it's a hard life! What do you and your siblings get up to when you get together? Do you think manicures are best enjoyed with a friend or do you prefer to go alone? What a perfect day this is! I don't often have manicures - 3 in my whole life. But I do think of it as a real treat, so if it can be enjoyed with siblings and a bottle of fizz too - even better! Food looks absolutely amazing too! The food was delicious - we'll definitely be going back! !